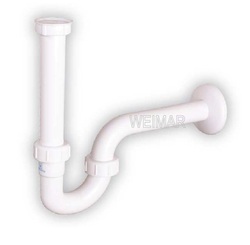 Our product range includes a wide range of plastic p trap for basin / sink p trap and p trap for washbasin & sinks. be flushed further and flow away towards the sewage systems. exposed / visible for aesthetic effect. 4. More than 50 mm water seal trap available. 7. It is easy to maintain.